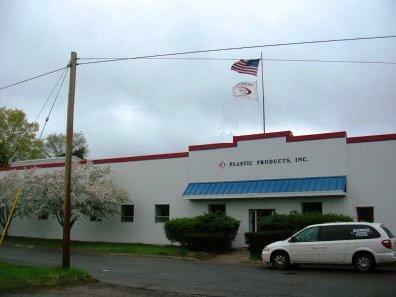 ACM Plastic Products was founded by Maurice (Bill) Walters, a life time resident of Sturgis, Michigan. Bill served our country as an air craft mechanic in the United States Air Force during the Vietnam War. He was based out of Laredo AFB, Texas where he worked mainly on T-33 Shooting Stars, T-37 Tweets, T-38 Talons, and F-4C Phantoms. Following his return home from the service Bill worked many years as operator, maintenance technician, and floor supervisor at local plastic businesses. In 1978, Bill combined his plastics experience with his entrepreneurial spirit to start production at ACM Plastic Products with a single one pound blow molding machine, an Impco B-13. In the early days, Bill handled everything himself; he was the sales, production, and shipping staff. Over the years Bill’s family and friends have joined him to help with the success of ACM. Chuck Walters, Bill’s brother and an experienced engineer, joined the company in 1985. Jerry Coleman, Plant Manager and lifelong friend of Bill and Chuck, joined the company in 1979. Mark Gwiazdowksi, CPA, joined the company as Controller in 1994. Mark brings years of public accounting experience and knowledge as a college instructor at Western Michigan University to ACM. Stephanie Marbaugh, Assistant Controller and Office Manager, joined ACM in 2002. Steph handles the day to day office provisions for ACM. To meet the needs of customers, production capabilities have grown to include 16 blow molding machines and value added services: secondary operations, polyurethane foaming, assembly, painting, and packaging. To further meet quality standards ACM has also become ISO 9001:2008 Certified. ACM Plastic Products, Inc. is committed to the highest quality products possible for the benefit of our customers and employees. We will strive to meet or exceed all of our customer’s requirements including on time delivery. Furthermore we will continually improve our process through the effective use of our Quality Management System (QMS). ACM's customers range from sole-proprietors to Fortune 500 companies. To help meet customer's needs ACM offers free quotes, charges minimal fees for sampling, and goes the extra mile to fulfill customer’s specials requests. Automotive, commercial, food service, furniture, industrial, lawn & garden, medical & healthcare, toys, and U.S. Government. ACM is frequently hiring for operators: for more information please contact Employment Plus of Sturgis: 269-651-9999. ACM welcomes sales leads and independent sales representatives, negotiated commissions are available. If you are an experienced plastic industry professional and are interested in working with ACM, please feel free to Contact Us directly.